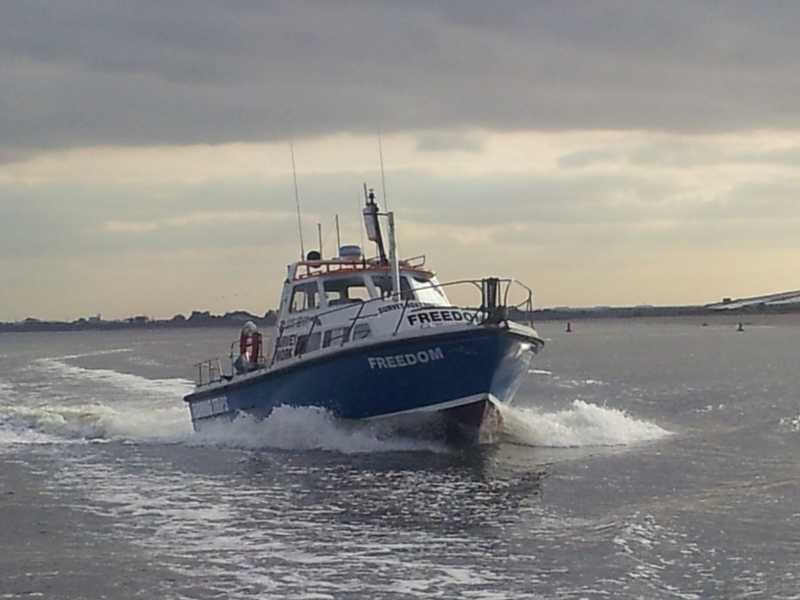 Freedom is a Aquastar 33 and is licenced for upto 12 passengers with a onboard toilet and this boat has got a large deck area for fishing comfortabley. Freedom is also fitted with deck lights for fishing at night so you all can see easily. Freedom is fitted with all the electrical equipment, safety equipment and navigation equipment to comply with the coding. You are supplied with unlimited tea and coffee. There are warm snacks provided on early morning trips. Rod hire is available if needed. Bait can be ordered prior to booking. Individual, small group and full boat bookings are available. This boat is also available for Diving, survey work, safety boat work, Filming, Bird Watching and scattering of ashes at sea.